It is a fact that most people considerably improve their English language skills by going abroad to an English speaking country, so why not consider your options and make the investment? Just a two week to one month journey to an English speaking country such as Australia, New Zealand, UK, Canada or USA could help your English progress within a very short period of time. You could also add South Africa to this list if you are interested in visiting one of the fastest growing economies in the world succeeding thanks to its majority English speaking population. Whichever English speaking country you decide to visit, you will have the opportunity to practice your listening and speaking skills every day. In fact, the beauty about being abroad is that your English is guaranteed to improve. Ordering taxis, going to a restaurant, watching a movie at the cinema, visiting the supermarket, checking in at the airport and using public transport are all situations you will be using your English language skills. What is very important when you visit an English speaking country is that you make the effort to go out and speak English while you have the chance. Instead of booking a large luxury room that may influence you to stay in and watch TV, instead book into a mid-range hotel. Besides, many of the mid-range hotels are more atmospheric than the high end hotels. In most cases you are more likely to meet new people in smaller hotels as they tend to be friendlier places. If you visit England, try visiting small villages and towns. We recommend this because cities can sometimes be busy places and people are in a hurry. However, in the countryside the atmosphere is always more laid back and people tend to be a lot friendlier. 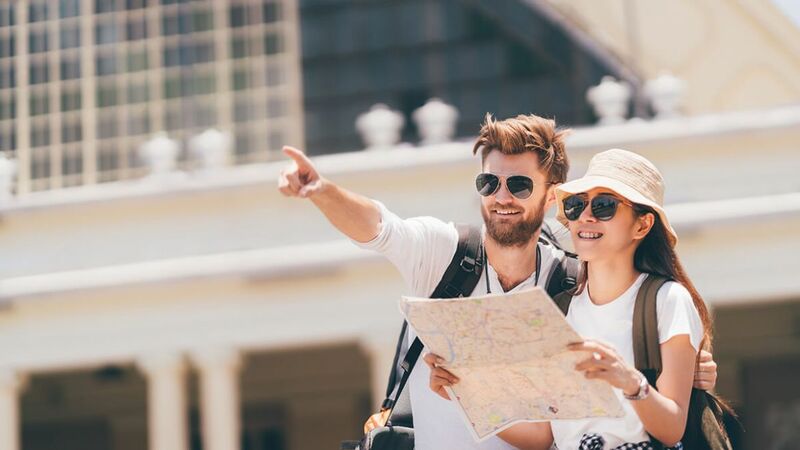 Aside from booking accommodation in the countryside, the best way to meet people is by visiting hostels or hotels that accommodate backpackers as their main clientele. It may sound strange that you would want to meet backpackers in an English speaking country because surely they are also second language English speakers? On the contrary, many New Zealanders and Australians backpack across Europe and into the UK. On the other hand, if you decide to travel to Australia or New Zealand, you will meet many British backpackers. Before you stay in a hostel it is always advised to look at reviews from websites such as Trip Advisor. Hostels are backpacker friendly hotels found all over the world, and they also happen to be the best places to stay and meet new people. In these hostels, life time friendships have been made between fellow backpackers travelling the world. After all, it is not just the chance to learn English, it is also about the adventure. Travelling on your own is the best way to learn English, but at the same time being on your own can be quite scary. We would recommend that you go with a friend, which is usually more fun. However, if you do go with a friend, you should agree to make some rules that will guarantee you both have a chance to practise. This is an especially good way for two students that have different levels of English speaking abilities to both improve. If you have the opportunity to travel to an English speaking country with your parents, try to take our advice above and avoid watching too much TV. Instead get busy practising by asking the hotel employees questions about the hotel or practise asking and listening for directions to facilities in your hotel. Also, when you are visiting tourist spots with your parents, use this as an opportunity to practise your English by helping your mum and dad with shopping, travel arrangements and directions on the street. If you are about to travel abroad and you need some extra guidance, speak with one of our foreign teachers at our English school in Silom. Our teachers are fully trained and will fully assist you. Before our students travel, our English teachers will have provided them with all the techniques that help them gain confidence in their English language ability. They have the confidence to go abroad and make the effort to speak with foreigners in English further improving their confidence. The same applies to any English learner. As time passes, and as you continue to practise English in different situations, the better and more fluent your English language skills will become. With branches in Silom, Lad Prao and the resort town of Hua Hin, Insight English has a school and course for you. We believe the most effective way for you to achieve your language goals is through live instruction. Insight English © 2017, All Rights Reserved | Web Design by Marketing Bear Co., Ltd.